Hungarian painter; born March 22, 1853, at Arad. He was originally destined for a commercial career, and could fulfil his wish to become a painter only later in life. In 1875 he went to the "Landes-Zeichenschule" in Budapest, where he remained for one year. In 1876 he went to Vienna, but being refused admission to theAcademy of Fine Arts there, he became a pupil of the portrait-painter Aigner. He then entered the "Malerschule" of the Vienna Academy, and later became a private pupil of Professor Trenkwald. He devoted himself especially to genre painting. 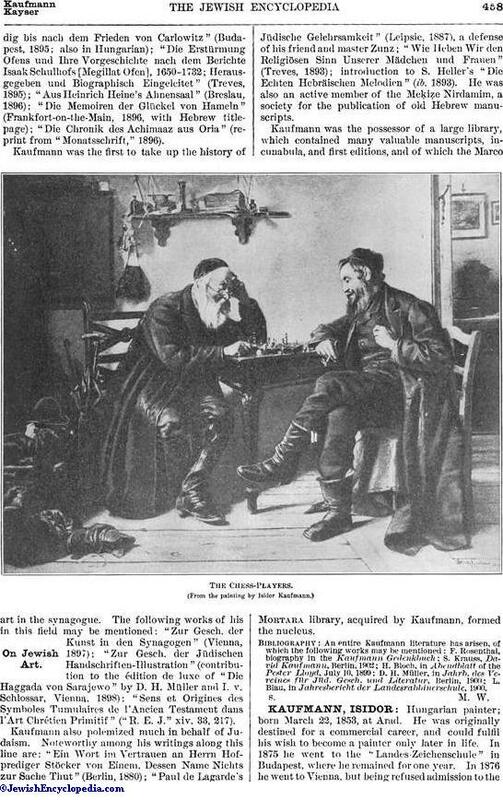 Particularly noteworthy are his paintings from Polish Jewish life. 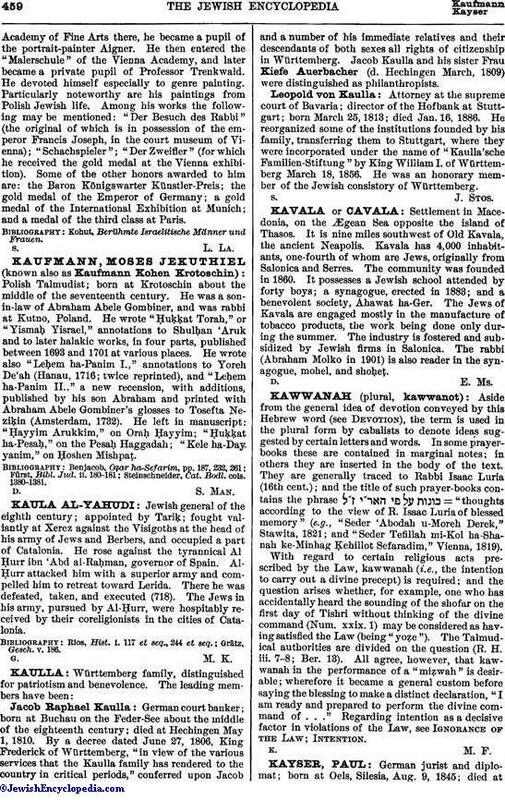 Among his works the following may be mentioned: "Der Besuch des Rabbi" (the original of which is in possession of the emperor Francis Joseph, in the court museum of Vienna); "Schachspieler"; "Der Zweifler" (for which he received the gold medal at the Vienna exhibition). Some of the other honors awarded to him are: the Baron Königswarter Künstler-Preis; the gold medal of the Emperor of Germany; a gold medal of the International Exhibition at Munich; and a medal of the third class at Paris. Kohut, Berühmte Israelitische Männer und Frauen.